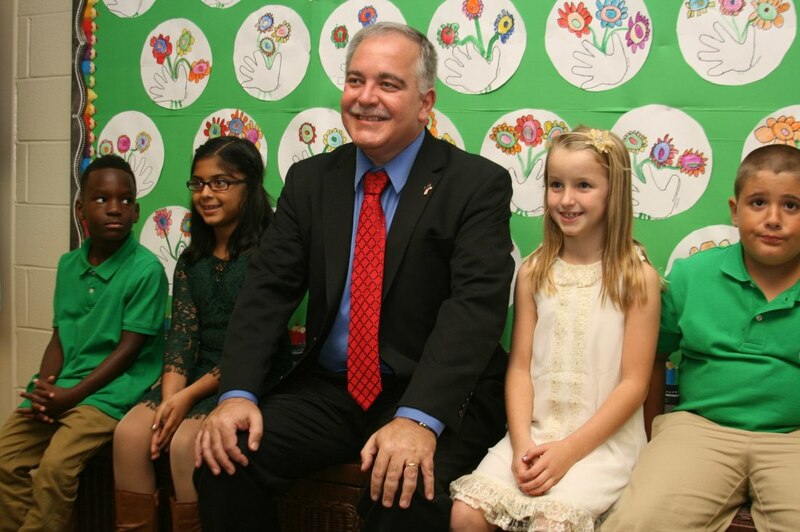 Superintendent Woods has demonstrated a strong commitment to Georgia-owned and Georgia-grown academic standards. One of his first acts in office was fighting for and securing funding to provide assessments for both integrated and traditional math. In the past, the state had allowed schools to teach math in the traditional sequence, but did not fund an assessment to match their choice -- setting our students and teachers up for failure. 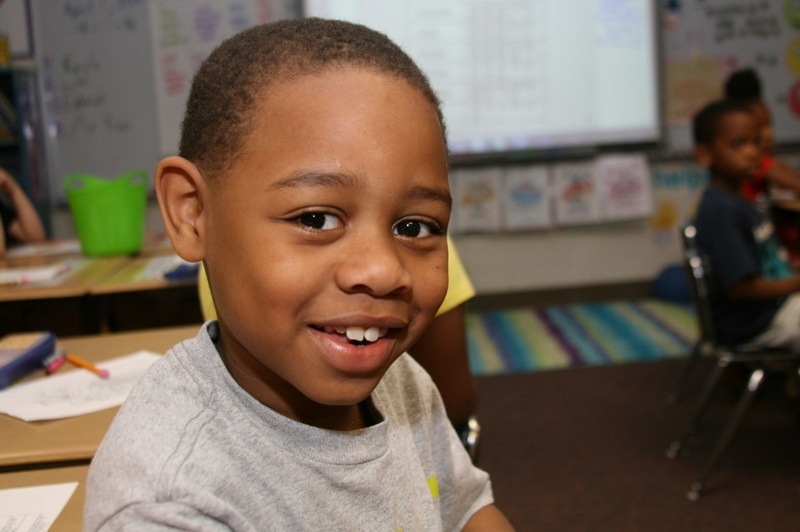 By providing a choice in math sequencing and directing districts to allow traditional math methods over 'funny math methods', Woods has continually pushed a shift away from Common Core-like instruction. He expressed concern regarding the APUSH (AP US History) standards and framework, specifically a slanted view of historical facts and lack of emphasis on the founding of our nation. In response, the APUSH materials were revised and reflected many of the changes that Woods fought for. Instead of relying on the existing national standards for Science and Social Studies, Superintendent Woods committed to working with Georgia’s teachers to create high quality Science and Social Studies standards. 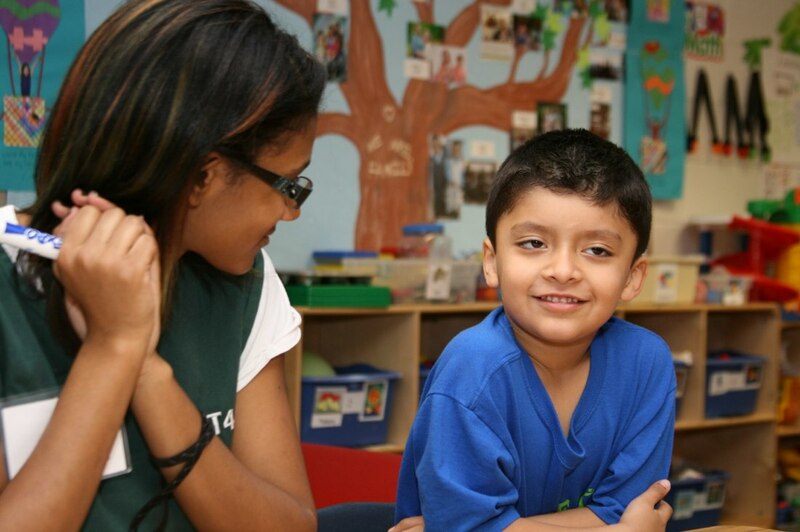 Revisions were made to the standards based on the work of hundreds of Georgia’s teachers and the feedback received from thousands of Georgia’s teachers and community members. ​A year gap has been built into the implementation timeline so that professional learning, resources, field-tested assessment items, and blueprints are provided up front -- setting up our teachers and students for success. Superintendent Woods has continued to voice concerns regarding the push for 'rigor' which he feels was actually pushing down content into the early grades that wasn't age or developmentally appropriate. He pushed for legislation and worked with lawmakers to pass a bill that gave more local control over the adoption of textbooks and other learning resources. 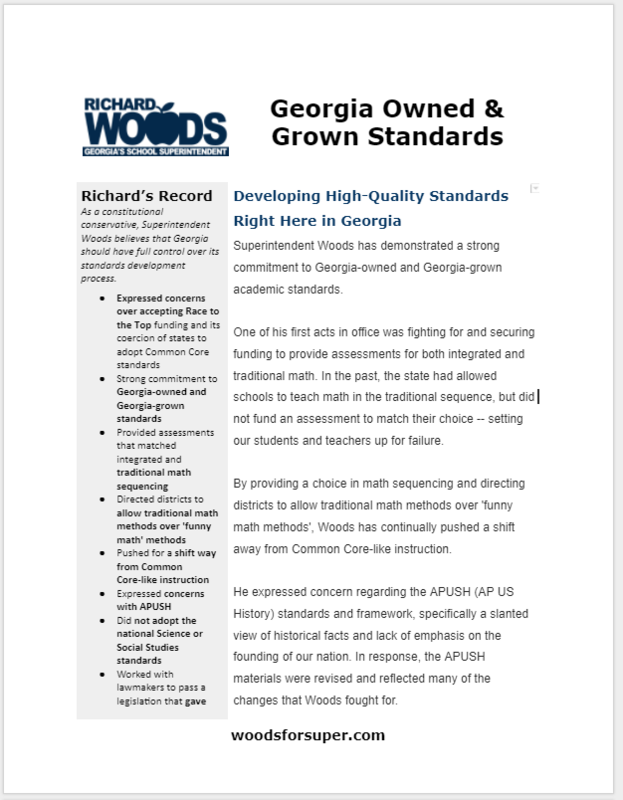 Superintendent Woods pushed for and received a federal waiver protecting Georgia's constitutional right to make changes to and develop its own standards and included a commitment to state-developed and adopted academic standards in Georgia's Every Student Succeeds Act plan. He will continue to work to exercise that right for the betterment of Georgia's students. As a constitutional conservative, Superintendent Woods believes that Georgia should have full control over its standards development process.